Rams merchandise and memorabilia. Have Rams stuff you want to buy or sell? Post it here. 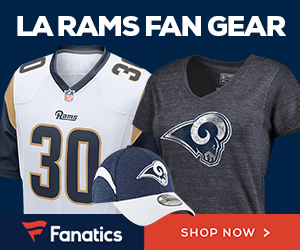 We have partnered with Fanatics.com to bring you the best in Rams merchandise at discount prices. Please click on the links below to get you Rams gear!